Drupal is a PHP based open source content management system (CMS) with a history that can be traced back to the year 2001. In terms of usage, the Drupal CMS stands at no. 3 just behind WordPress & Joomla, powering roughly 2.2% websites around the world. Drupal currently has 37,302 modules that allow extendibility beyond its core functionalities, 2,454 themes and an active community base of more than a million members. Websites ‘N’ More is a Sydney based digital agency with a dedicated team of Drupal developers. Our team of Drupal developers have a deep understanding of Drupal core and are capable of providing custom solutions based on the project requirements. Why choose Drupal as your Content Management System? Drupal is a powerful CMS that is being used by some of the leading names in the world including well respected educational/government institutions. Some of these names include, Yahoo Research, Intel, University of Oxford, MIT and The White House. Drupal is an easy to use CMS that does not require any technical knowledge in order to manage & update a website. Drupal is open source software which is being managed and further developed by an active community of a million members which includes coders/developers, designers, coordinators, security experts and editors. This means that there is constant work being done in order to further improve the CMS including the modules on offer on Drupal.org. For a business/organisation using Drupal as their CMS, this also means that there is no vendor lock-in. Drupal provides a high level of flexibility when it comes to developing websites and online tools. 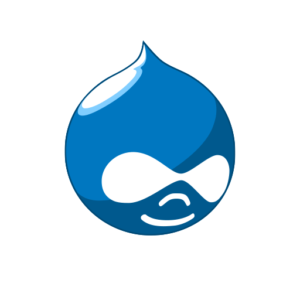 There are plenty of modules available on Drupal.org that provide a high degree of flexibility to developers and designers in terms of content layout, forms and access to a range of custom functionalities that are not part of the Drupal core. Drupal.org has more than 37,000 modules available that allow developers to extend the functionalities beyond what the core software has to offer. Even if there is no module available to achieve a certain functionality, an existing one can be modified to achieve desired results. There is a great emphasis within the Drupal community on creating code that meets Industry standards. In fact Drupal has a dedicated team of security experts who work tirelessly to keep the platform as secure as possible against commonly known hacking attacks. Our web design team and front-end developers can work with themes that are available within the Drupal community or create custom themes as per the project requirements. Using the best practices of web design we can create user centric interfaces that will focus on achieving the highest level of user experience. Our team of Drupal developers have a deep understanding of Drupal core and can utilise existing modules available within the community or develop custom modules as per the project requirements. All our codes are written as per the recommendations of the Drupal community. If you are looking to connect and existing system/software with your Drupal setup, our team of Drupal developers can utilise existing API’s or develop new API’s based on the project requirements. Thinking of developing a website or a web application using Drupal , get in touch with our team at our at our Sydney Office to find out more.